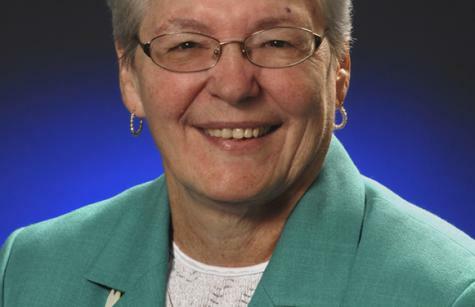 Our Provincial Leader Sister Charmaine Krohe, SSND celebrates 50 years this year as a School Sister of Notre Dame. Her deep love and compassion for the poor, underserved, and marginalized have been the focus of her religious life. After teaching in Pittsburgh and Southeast Washington, DC, she began her ministry at St. Ambrose Parish in Northwest Baltimore. For 34 years she lived and served the African-American community as teacher, pastoral associate, hospital chaplain, and founder of St. Ambrose Outreach Center. The center serves more than 40,000 families, guests and clients each year through its soup kitchen, food pantry, adult literacy program, job training and placement outreach, and after-school, summer camp, and Head Start programs. She envisioned and brought to reality the Cottage Avenue Transitional Housing program that transformed a dangerous, drug-invested section of the neighborhood surrounding St. Ambrose Center 21 renovated transitional housing units for struggling families with children. This revitalization effort included a state-of-the-art children’s playground and community park. In 2006, Sister Charmaine became president of Mother Seton Academy, a co-sponsored (with six religious communities including SSND), tuition-free, independent Catholic school for at-risk middle school students in Baltimore City. During her tenure as president, she raised more than $7 million dollars which was used to renovate and establish a permanent home for the school. Her community achievements include: first woman president of the board of directors of the St. Vincent de Paul Society for the Archdiocese of Baltimore, member of the board of trustees for Notre Dame of Maryland University, recipient of the Kathy Hughes Humanitarian Award from U.S. Congressman Elijah Cummings, “Public Citizen of the Year” award from the National Association of Social Workers, the President’s Medal from Notre Dame of Maryland University, the Loyola University Milch Award from Loyola University, induction into the Maryland Women’s Hall of Fame. She also received an award from the Baltimore Historical Society for her contributions to Baltimore-area history.